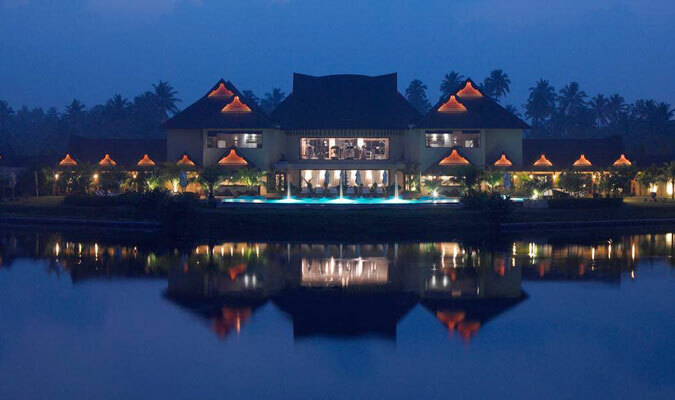 The Zuri Kumarakom Kerala Resort and Spa is known for their warm hospitality that is offered to the guests. In Swahili, the word for “more than expectations” is 'Zuri' and that is precisely what the hotel aims to do: provide each and every guest with way more than they expected to find in the hotel. 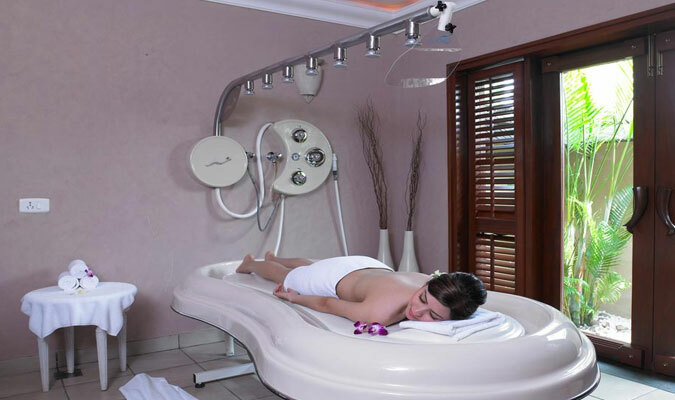 Learn the meaning of true hospitality, beautiful surroundings and a comfortable stay with The Zuri! 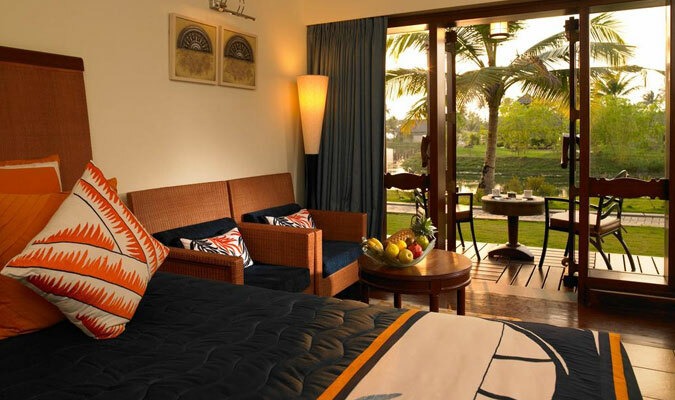 Zuri Lagoon Room: These rooms offer guests an opportunity to stay nearby the gorgeous lagoons outside the verandah. 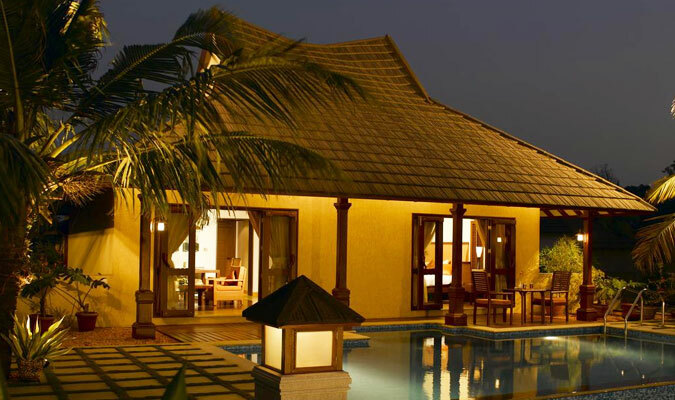 Zuri Deluxe Room: For a magical sight of the captivating Vembanad Lake, these rooms are perfect. 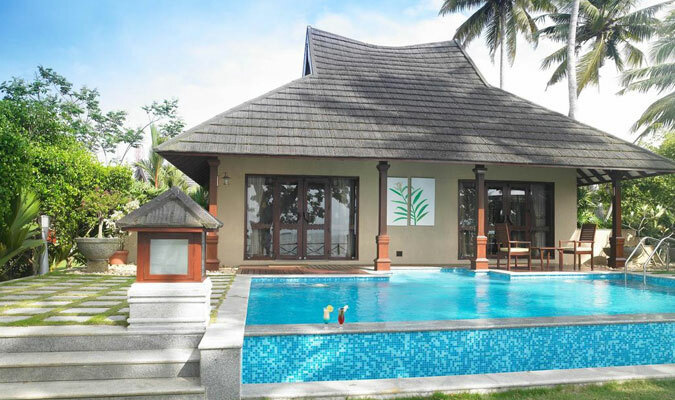 Zuri Presidential Pool Villa: For a romantic time amidst Kerala Backwaters, these rooms, with a special feature of a swimming pool, are ideal. Zuri Cottage: Basic rooms in the hotel to enjoy the simple, rustic life of Kerala, installed with all modern facilities. 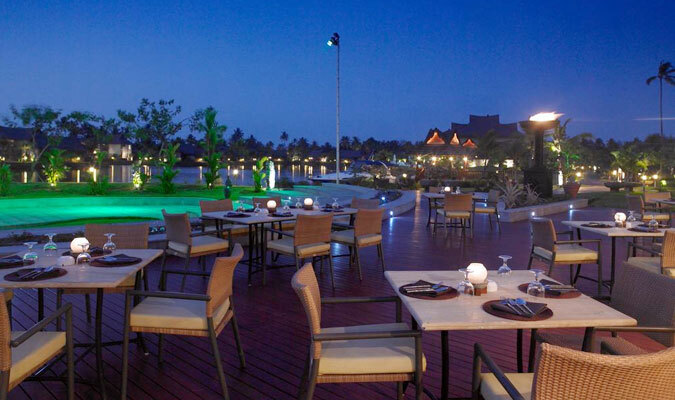 Lime Tree: Multi-cuisine restaurant specializing in Continental, Mughlai, Oriental and Kerala dishes. Laguna Bass: Surrounded by the lake, the restaurant serves remarkable seafood. Marquees: A special feature in the hotel offers the world’s most expensive liquors and cigars for guests relax! The Trunk Call Bar: For a party time, visit the bar, have a few drinks and groove to the music.